We assure your expectations are met. If you're looking for a sharp elbowed, ruthless rep . . . well, that's not how we roll. (We can refer you to Josh Altman instead.) Instead, as head of this agency I’m known as an aggressive yet fair negotiator. Creatively, I find ways to maximize the value for both the seller and the buyer. By carefully listening to what's most important to each party, we ferret out the areas where compromise is least costly for each side. So everyone gets what they value MOST. Which is why sellers I’ve represented have often retained us as their realtor when they decided to buy. It’s also why buyers keep in touch long after a closing, and call us when they’re ready to sell. We build long-term relationships. And both our buyers and sellers see the profit in that. Local expertise, with superior contacts in the Brea, Fullerton and La Habra communities. Keen listeners who value your time, and narrow down options to find what you want. And sometimes, even the very house you never knew you always wanted. "Erica listens well -- and really understood what we did and didn’t want. 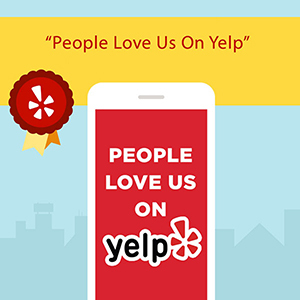 "She read our minds and presented us with exactly what we wanted – didn’t waste our time showing us properties that don’t fit." "Knows her business inside and out. She will help you find the right house and not just try to sell you a house." "Each house she presented for each of us was exactly what we wanted and within our budgets, from looking for a house to finding a house, from opening the escrow to closing, and from repairing to remodeling." Great at figuring out what you respond to . . . sometimes even before you realize it for yourself. How many times have you seen buyers decide to buy a home that was very different from their initial list of "specs"? We see it all the time. A couple says they want a fixer-upper, and then fall in love with a sparkling updated one – which costs little more than fixing up another home would have done. Or they want something "finished", but go head-over-heels for a vintage home with great bones ready for an upgrade. Many of our best reviews come from clients who trusted us to introduce them to, let’s say, 3 homes that are "spot on" + 1 that’s similar . . . but just-different-enough to click and be "the one". A committed ally who negotiates hard and well on your behalf. "Whether representing the buyer, the seller (and in many cases she has been trusted to represent the best interests of both parties) her negotiation skills are phenomenal". "As a buyer, I saw that she stood her ground for the best interest of the seller she represented, and mine as well." We assess your situation, help you organize, minimalize, rearrange, and decorate for a quick sale at the best price. Ask about our free "Top 25 Do-It-Yourself Tips for Getting the Best Offer"
"She was a great realtor and gave us good suggestions on how to stage our house"
"Erica is a great realtor. She helps you get your house ready to sell and sells it fast!" We create compelling Marketing Strategies for each home. Visually, we make you stand out from your competition. Professional photography sells a listings 50% faster, 39% closer to the list price, and generates 118% more online views according to IMOTO 2016 Impact of Professional Photography. So we start with professional photos. Innovative open houses and broker-outreach. "She held open houses every week and was always available to show our home to other realtors". But we also know when a home should be shown only by private showing. Creative Internet presence and social media strategy. Facebook sneak previews. Listing distribution strategy. Online promotion of each home. We can add up to 15% to your home’s current value, with professional improvements plus in-house staging and design services. Aside from our free advice and tips for those who choose the "do-it-yourself" route, our menu of Quick Value-Adding Improvements and Professional Staging Services help unlock your home’s true potential value. "Erica’s design background enabled her to make my condo look absolutely amazing"
"I am always impressed with how she stages a home to enhance its value and appeal"
"Generated a lot of interest in the property". "Resulted in multiple full-price offers"
Ask about our Unlock More Value options. We are a top producer in the Brea / Fullerton / La Habra community. "Her properties typically sell quickly and for over market value. She was among the top Prudential agents for 2014. I can without any doubt highly recommend Erica Jeong." "She is very intelligent and professional realtor. She sold my house in 10 days when the market was very slow." Source of insightful advice and great resources. "From the selection of the buyers, through the close of escrow she has top people available that can help with financing as well as perform outstanding renovations to truly make a purchase or a sale as easy as possible." "She’s dedicated to satisfaction at every level. That’s why she is one of the top people in the business. Erica has my highest recommendation." Going above and beyond: the signs of a trusted professional. "She displays empathy and kindness to all, and most of all goes above and beyond the norm, to ensure a successful sale and satisfied clients on both sides." "Excellent communicator" …. "kept me apprised in a very timely manner." "Knowledgeable and gracious". "Extremely good at her job, easy to work with." "Professional, conscientious, hard-working and it was a pleasure working with her." "The best realtor I have worked with in 25 years." As we demonstrate our commitment to always do the right thing, to always put your needs first, we know our success is determined by the legacy we leave with each client we serve. To be the best real estate agents in Fullerton, Brea, and La Habra. An enthusiastic community of grateful, happy clients. Whether they came to us as a seller or a buyer, relationships that last for decades. Trust - We speak the truth. Even when it’s hard to say . . . or hard to hear. Integrity - We always do the right thing. Even when it hurts. Communication - We seek first to understand. Win-Win - We create a win for everyone. Otherwise, no deal. Creative Solutions - We strive to find ways to maximize benefits for both the buyer and seller.